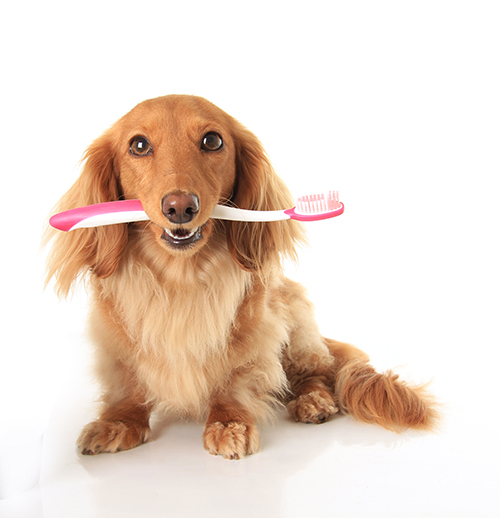 Why is Dentistry important for pets? It’s important to keep up with your pet’s teeth. Not only will it help with the overall appearance (and smell! ), but bacteria under the gum can affect the heart, kidneys, and liver. Did you know that 80% of pets have dental disease!? 4 out of 5 dogs by the age of three have some sort of periodontal disease. The longer plaque and tartar stay on the teeth, the worse the infection can become. Eventually simple plaque and tartar will become gingivitis. Ultimately, gingivitis will progress into periodontal disease. With periodontal disease, the gum will pull away from the teeth and the space in-between becomes infected. You can stay ahead of that by bringing your animals in for routine dental check-ups and teeth cleanings. Anesthesia, Scaling, Polishing, Extractions (as needed). Your veterinarian may also prescribe pain medications and antibiotics to go home.